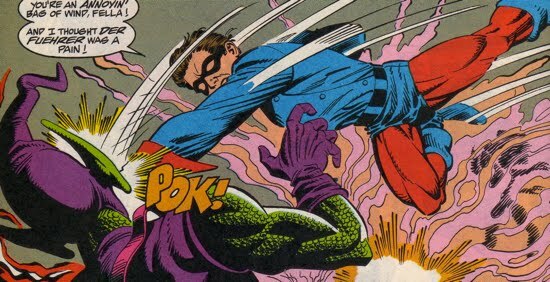 Norman Osborn was well aware of the iconic status that Captain America had with the civilians that he protected. The patriotism and strength that were associated with Cap certainly inspired Osborn's design for the Iron Patriot armor. He cleverly sought to gain that same sense of admiration from the public that Steve Rogers had received over the years, by simply duplicating Cap's look. Since Rogers had died a marytr, Osborn knew that attacking his character would be a massive PR mistake. Instead Norman attended a rally for Captain America and declared his own admiration for the fallen Avenger. The crowd loved it. The true Captain America did not stay dead for long and, as it turned out, he never actually died in the first place. Osborn was eventually informed by Arnim Zola that Steve Rogers was not dead, rather 'locked in space and time' by a device designed by Dr. Doom. Zola also told Osborn that he had found a way to 'pluck [Rogers] right out of the timestream'. Osborn was intrigued, so he recruited Crossbones and Sin (the daughter of the Red Skull) to do his dirty work, both happened to be held in detention at that time. Osborn ordered the duo to find the Red Skull, so that he could place the Red Skull's brain into Captain America's body. 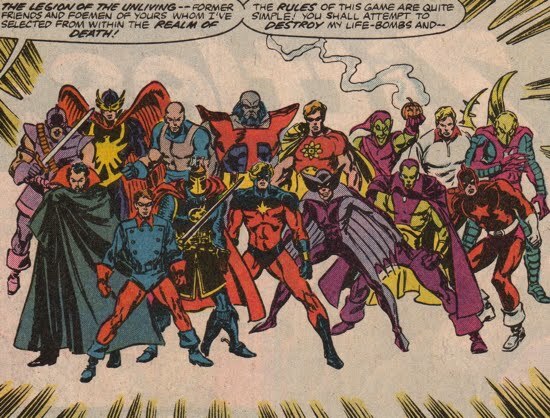 Osborn planned to use the Red Skull-Cap as the leader of his Avengers and if Crossbones and Sin were able to come through on this request, Osborn would grant them freedom. Meanwhile, the new Captain America (aka Bucky Barnes aka Bucky-Cap) and the Black Widow had infiltrated a H.A.M.M.E.R. helicarrier in an attempt to steal some of the Red Skull's technology that was being stored on the ship. Their plan was thwarted, however, by Ares and Dark Spider-Man (aka Mac Gargan aka Venom) and both were taken into Osborn's custody. Osborn told the Black Widow that he would set her free in exchange she must deliver a message to Sharon Carter. His message was simple, Sharon Carter must turn herself over to H.A.M.M.E.R. for her 'involvement' with the death of Captain America or Osborn will kill Bucky-Cap. The Black Widow delivered the message and Carter turned herself in to Osborn's forces. Soon After, the Red Skull (with the help of Dr. Doom and Arnim Zola) was able to transfer his mind into Captain America's body, but his tenure as Cap was short-lived. Eventually the real Steve Rogers was able to regain control of his body and, with the help of various super heroes, defeat the Red Skull. Osborn was very disappointed that this plan fell apart, however, he knew that another conflict with Steve Rogers and his Avengers was inevitable. 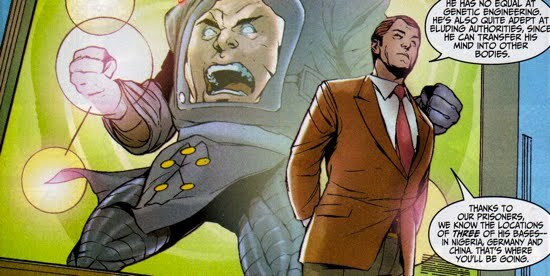 Norman Osborn did not receive any retaliation from Steve Rogers or the other Avengers for his role in orchestrating the Red Skull-Cap. Things remained as an uneasy truce between Osborn and Rogers. However, the two would eventually share a final confrontation during Osborn's siege on Asgard. That will be covered in a different section. And of course...Norman and Arnim. Zola appeared to be a solid informant and a worthy ally for Osborn throughout Cap's resurrection. Recall that as the director of the Thunderbolts, Norman attacked Zola on his own turf in China. That incident was summarized here. Now they're allies...I wonder when and how that relationship changed?